Can You Experience a Salvia Overdose? 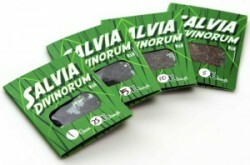 Home › Salvia Divinorum › Can You Experience a Salvia Overdose? Ingesting too much Salvia can cause many adverse effects. Salvia has, unfortunately, not been researched as thoroughly as many other psychedelic drugs. In fact, the substance is “currently… not a drug regulated by the Controlled Substances Act” (NIDA). It is understood that the substance can cause adverse physical and psychological reactions in some cases, but there is some confusion over whether or not a person can experience a salvia overdose. An overdose is defined as the ingestion of a specific dosage of a substance that is higher than recommended. Because of the lack of information on salvia and the fact that it has not been listed under the Controlled Substances Act, there really is no recommended dose of the substance as well as no assurance that the drug is unsafe at any amount. In addition, the substance does not cause an overdose syndrome like methamphetamine, cocaine, heroin, and other drugs of abuse that are not recommended to be taken at any dosage. These drugs all cause signs of overdose that can be dangerous, even deadly. The most problematic side effects of high doses of salvia are slurred speech, lack of coordination, and dizziness (according to the DEA). Therefore, as of yet, there is no specified overdose syndrome associated with salvia abuse. While it may seem from these results that a person can ingest, smoke, or chew as much salvia as possible and not overdose, there is still a possibility that adverse effects can occur when the substance is abused. Even though these effects are not as dangerous as the ones caused by other drugs, it is important to avoid taking too much of the substance. Nausea and vomiting can occur when someone takes high doses of salvia, and the lack of coordination and dizziness that occurs can result in a fall or another dangerous effect. Just because salvia’s overdose syndrome is not as well defined as those caused by other drugs does not mean the substance itself has no dangerous side effects. In addition, these side effects do become more intense when the substance is taken in higher doses. You may not be able to experience a salvia overdose similar to that caused by other drugs, but it is important to avoid abusing high doses of any substance, especially with one like salvia where its effects have not been as well-researched as those caused by other drugs. Effects of Salvia You Should Be Aware Of - Learn about the different effects of Salvia.